Hello, all! I was on the lookout for a facewash for my oily skin that would remove the excess oil on my skin without leaving my skin dry. I came across the Elizabeth Arden Visible Difference Oil-Free Cleanser at Sephora here in Chennai but I wanted to do some research before I made the purchase. After reading all the online reviews I decided to buy it the next time I got the chance to visit Sephora. The product claims to thoroughly cleanse the skin without letting it dry out. The oil free foaming cleanser helps minimize the look of pores while providing optimum hydration and leaves your skin clean. The cleanser costs Rs. 1380 and can be bought online or from any Sephora outlet in India. I eventually bought it and started using it two to three times a day. I generally use it in the morning, evening and at night before bed. The cleanser removed the excess oil and made my skin look fresh. I could visibly notice that my pores are clean and clear. I also felt a cooling effect because of the mint flavour in the product. I found this product really helpful and it did exactly what I was looking for. 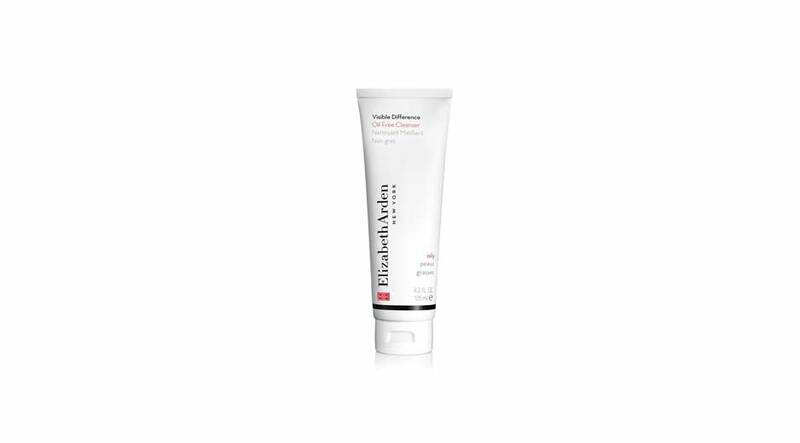 Take a pea-size amount of the Elizabeth Arden Visible Difference Oil-Free Cleanser onto your palms and rub your fingers together to create foam. Wash your face with normal or cold water. I have been using the product for nearly a month now and I’ve still got 1//4th of product in the tube left to be used. I would love the product if the scent is more pleasant. On the whole, I really like this cleanser as it does exactly what it claims to do. I will definitely repurchase this product and it is HERE TO STAY in my skincare routine. I would give this product a 9 on 10. I hope you guys found this review helpful. Have a wonderful day!